Hello Leaky Shed Studio fans! 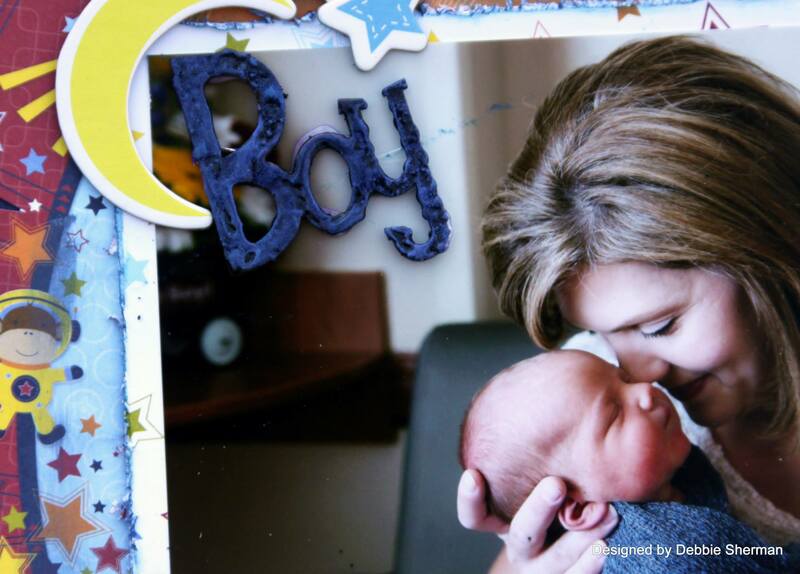 Debbie with you today to share a layout that is a part of a new album I started for my newest grand baby, Trexdon. I'm so blessed to have 7 healthy happy grandkids and scrapping their photos reminds me how good life is. 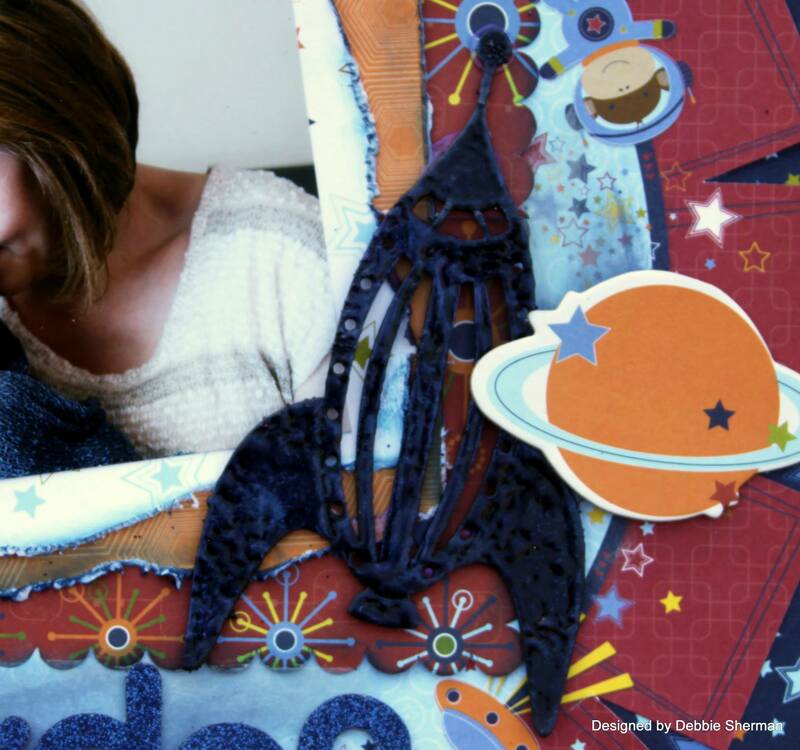 For this layout I used the Rocket Ship and word Boy chipboard pieces by Leaky Shed Studio for my embellishments, perfect for this baby boy layout. I embossed them with Tim Holtz Distress Embossing Powder and then rubbed them with Perfect Pearls. It's a simple way to coordinate your embellishments with your paper. Here are a couple close ups of the details. 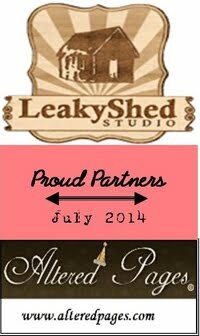 Thank you for stopping by the Leaky Shed Studio Blog today!! This is gorgeous! LOVING the colors and the rocket ship!! CONGRATS on the newest grand baby!! !